Another jewelry set reminiscent of 1950s colors, this time pink and grey. 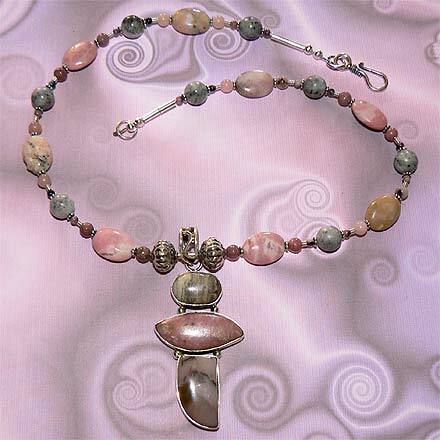 I don't know what kind of of Jasper specifically the little grey cabachon is in the pendant; I used Riverstone for the beads. 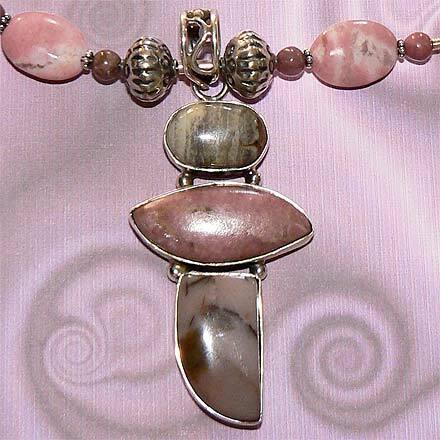 The middle pendant stone is Rhodonite and the bottom one is Pink Peruvian Opal (a common opal). I used the corresponding stone beads throughout the set. 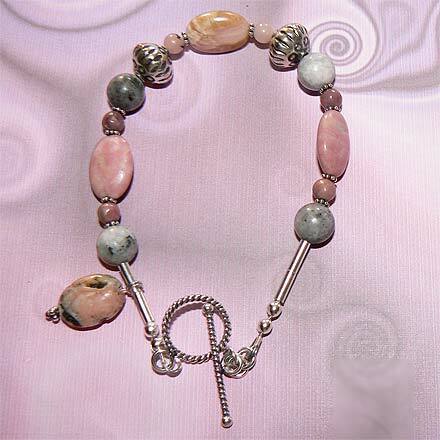 For those who are interested in Astrological significances of stones, Rhodonite corresponds with Taurus and Jasper corresponds with Virgo and Leo.